How Do Car Defrosters Work? When you learn to drive a car, you gain so much more than the nominal amount of freedom that flows naturally from the combination of four wheels and an open road. You are also ushered into a world that is built on a shared visual language that would seem totally alien to anyone who spent their entire life as a pedestrian. Beyond simple concepts that cross-cultural and continental boundaries, like red octagons meaning “stop,” every driver has to be able to recognize the stylized pictograms for things like high beams and check engine lights, and you know that when you can’t see through the windshield due to ice or fog, you reach for a little button emblazoned with a series of squiggly lines and either an arc or a rectangle. Everyone knows what those little pictograms means: push this button, wait a while, and maybe you won’t get into an accident due to not being able to see through your windshields. But how, exactly, do they accomplish such a feat? 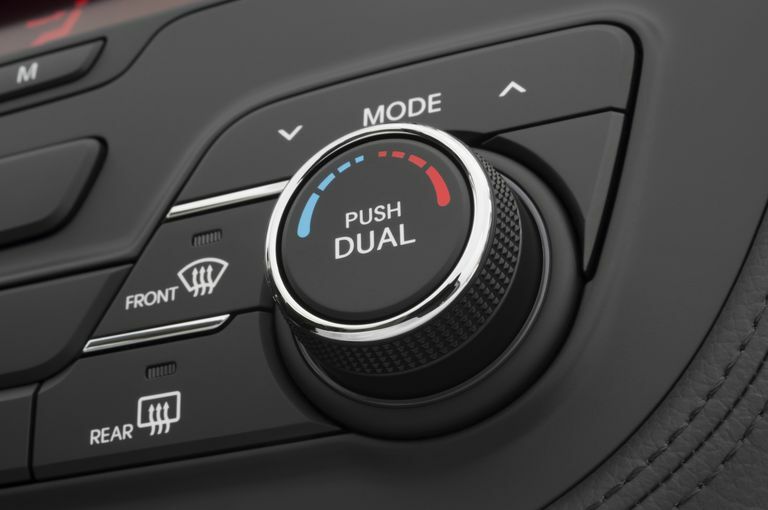 Regardless of the specific name you use—defroster, defogger, demister, or anything else—there are really only two different devices that you can activate by pushing one of those little squiggly-lined buttons. The first type uses your vehicle’s heating, ventilation and air conditioning (HVAC) system to blow air (typically both dehumidified and warm) at foggy or iced-over glass, and the other defogs and de-ices via the mechanism of resistive heating. How Do Primary Car Defrosters Work? Defrosters that utilize a vehicle’s HVAC system are sometimes referred to as “primary” defrosters or defoggers since they are designed to clear front and side windshields, and they work via two main principles. In order to melt ice that has accumulated on the windshield, activating a primary defroster causes the HVAC system to draw in fresh air, pass it through the vehicle’s heater core, and then direct the warm air through dashboard vents so that it hits the front windshield and side windows. In addition to defrosting windows, these primary systems can also “defog” by removing condensation from the inner surface of the windows. In order to accomplish this, a front window defroster will typically pass air through the air conditioning system to remove moisture from it. When this dehumidified air hits a fogged up windshield, it is able to absorb a lot of moisture and effectively remove the condensation. Of course, warm air is also able to hold more moisture than cold air, which is what makes primary defrosters so effective when these two systems work in concert. Although it is also possible to accomplish the same basic moisture removal by physically wiping the condensation away, doing so may leave smudges that can result in glare and make it difficult to see through the windshield at times. How Do Secondary Car Defrosters Work? Defrosters that don’t use a car’s HVAC system are sometimes referred to as “secondary” systems since they are designed to defrost things like rear windshields and mirrors. These systems typically use wire grids and resistive heating to physically warm up the surface of the glass, which can effectively melt ice and remove condensation. Rear windshield defrosters typically use surface-mounted grids that are easily identifiable by looking at them, while heated mirrors usually have internal wires that you can’t see. However, both systems use the same basic mechanism of resistive heating. An electrical current is applied to the wire grid when you activate the system, and the resistance of the grid causes heat generation. How Do You Defog a Windshield With No Primary Defroster? Start your car and turn on the heater. Set the heater to the highest setting. Changing the vent selector to the dash vents that point at the windshield will help defrost the windshield, but warming up the air inside the car is the most important factor in defogging. Change the HVAC circulation setting to draw air in from outside. Turn on your air conditioning. Open the windows a little bit. Since OEM systems make use of both primary and secondary defrosters, aftermarket replacements and alternatives are also available for both niches. In particular, grid-style rear defrosters can be repaired by conductive paint and adhesive materials, or scraped off and replaced altogether by aftermarket defroster grids. Although no direct replacement exists for primary defrosters, 12V car defrosters operate via the same basic mechanism of action as OEM HVAC defrosters. These devices simply can’t heat up the same volume of air as a traditional HVAC system, but they still work by directing warm air at a fogged up or iced over windshield, and they are a viable alternative to a broken defroster in some cases.